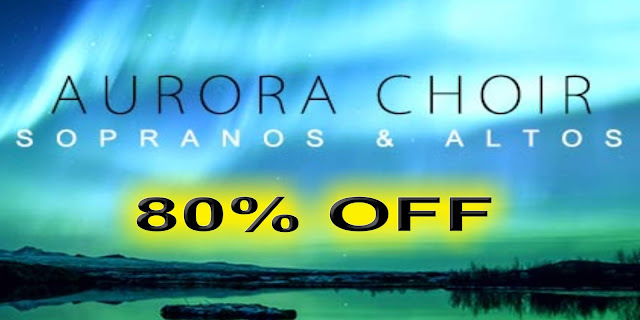 The Aurora Choir is an elegant and powerful choir sample library for Kontakt, and represents somewhat of a milestone for Aria Sounds, being the culmination of many hours of work, study and tweaking. The library contains both Sopranos and Altos (separate instruments for maximum control), and has an absolutely stunning legato tone. On top of this, it has short syllables, arranged into a very conveniently playable sequencer. Simple arrange your phrase in the sequence, and play away - the choir will automatically sing the syllables you enter. The choir contains four true legato modes (ah, eh, ih and oh) sampled at multiple dynamic layers, giving a total of EIGHT true sampled legato sets, for absolute realism and variation. On top of this, there are a total of twenty four different syllable shorts, sequence-able in the GUI, each sampled at three dynamic layers, giving a total of 72 variations per short note! The choir was recorded in a mid sized hall, for a pristine and clear sound, with four mic positions used to ensure that no part of the vocalists' glorious sound was wasted. Choose from, or create your own personal blend from the four available positions. The positions are ordered from closest to furthest, and you even have the option between close condenser mics, and close ribbon mics (for a darker and warmer sound). If an even more reverberant sound is what you are after, there is a reverb slider on the interface, and you'll also be pleased to know that this library takes external reverb very well. All audio is in 24 bit 48KHz .wav format files. The sequencer (lower) part of the interface allows for the creation of extremely realistic and powerful spoken lines, with the 24 included syllables. The default sequence spells out the "Dies Irae" text, but you can easily customise or completely change this. Simply click on any syllable, and select a different one from the 24 options on the drop down menu that opens... Each syllable was recorded at three dynamics, which respond to velocity. The low G# (in yellow) can be used to reset the sequence to the beginning, in case you don't want to use all twenty four steps every time, allowing for even greater variation.